The Luxury Liners is the band I started with my good buddy, Chad Edgington, when we moved to Nashville in 1997. We were two goofy Texans obsessed with Gram Parsons, The Beatles, rhinestones, and Coca Cola. We learned so much about writing, performing, and recording in those early days. In 2000, after several years of recording in studios all over town, our first album, Sound As Ever, was finally released. A year later in 2001, just before Chad left the band, we put out a short collection of songs called the Believe EP. Besides having two awesome original songs, the EP also contained a cover of the Cher hit “Believe.” The song has about 10 writers which made legally selling it via CD or download a headache. This year I decided to deal with all the fees and get it online. 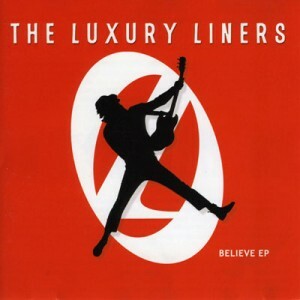 So, all that to say, here’s a link to The Luxury Liners’ Believe EP. Below is a video of The Luxury Liners performing the song in Nashville. Todd A: Wow! Congrats, amigo!